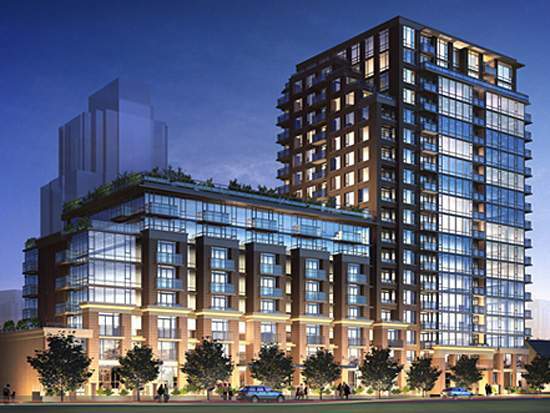 1036 Richards at 1036 Richards St,Vancouver, BC, V6B 3E1, Yaletown Neighborhood, 226 suite, 18 storey development by Aqualini. Located on Richards Street between Helmcken and Nelson Streets. Richards is not just wehere you live, but how you live. Architecture engages the eye and sets the tone of a community, and at Richards, it pays an especially significant role, reflecting the unique history, culture, local flavours and natural attributes of downtown Vancouver. Chic landmark residences with exceptional concrete, glass and metal construction offer clean lines and calm attitude and a serene urban aesthetic that embraces a sleek west coast style. The architect's richest gesture includes the lush, green rooftops on the townhomes, a visual feast of sustainability.